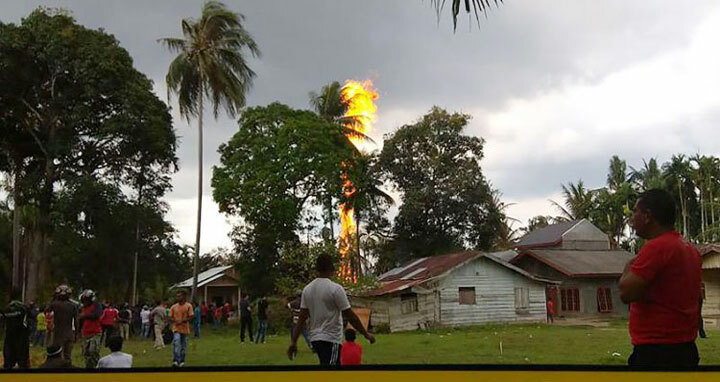 Dhaka, 25 April, Abnews: At least 10 people have been killed and dozens more injured after a fire at an illegal oil well in Indonesia's Aceh province, authorities said Wednesday. An oil spill sparked a huge blaze about 1.30am (1830 GMT Tuesday) that torched at least three houses and was still out of control mid-morning. "The [fire] is still soaring high and has not yet successfully been extinguished," Saiful, head of Aceh's Ranto Peureulak sub-district who goes by one name, said.